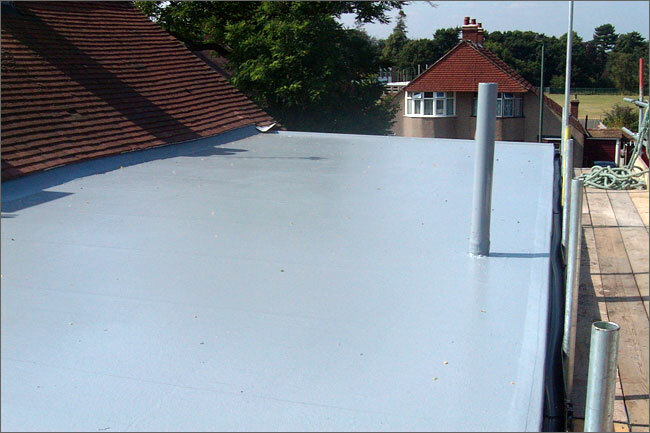 This is three number flat roofs carried out on a private household for the home owner in Kent. 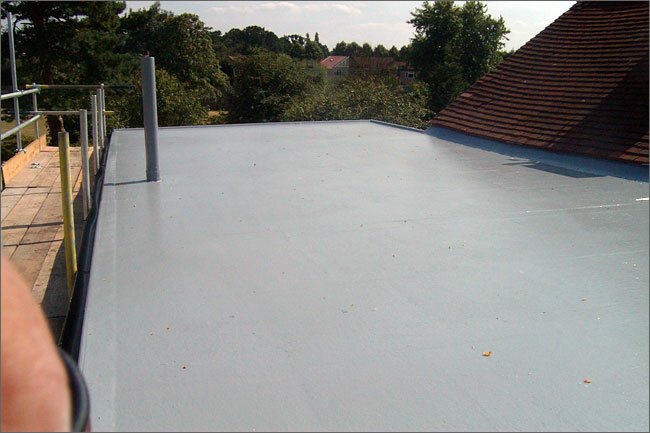 The covering used was GRP hich is a glass fibre roof covering. 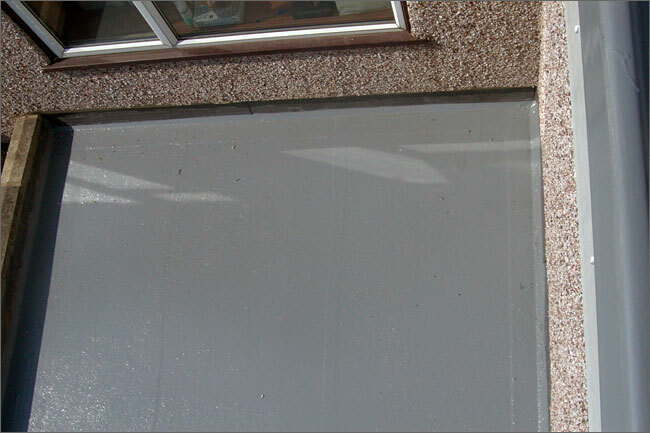 Shows the GRP covering on the second lower flat roof. 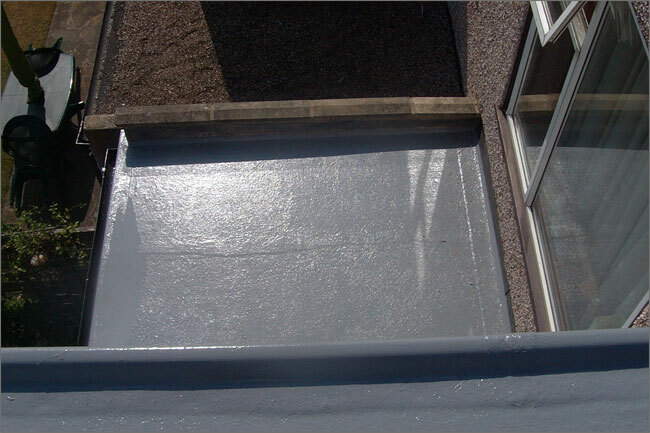 Lower rear flat roof renewed in GRP. Image of the rear of the flat roof. Side on view of completed GRP flat roof covering.